We appreciate Speaker of the House Sam Smith’s recent statement that the language In Act 13 will not interfere with a physician’s ability to appropriately treat patients, and will in fact facilitate that process. While PAMED agrees that Act 13’s disclosure language is as strong as any in the nation, we also reached out to the Corbett administration to clarify physicians’ confidentiality obligations under the new law with respect to proprietary information disclosed to them for treatment purposes. Controversy is heating up around the new Pennsylvania Fracking Law which many believe forbids doctors and other healthcare professionals from talking to their patients about chemical exposure that they believe may have led to their patients’ health problems. Debate is now centering on whether physicians are really blocked from talking to their patients about the chemicals. The law does give the health professional a way of obtaining the information alleged to be a trade secret, but it is less clear as to what the health professional can do with the information once it is received by the health professional. 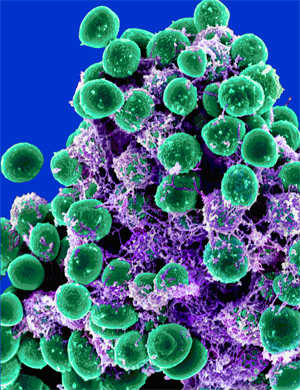 Healthcare-associated infections (HAI) pose a significant public health challenge. They occur in a variety of ways at the hospital, often from surgical site infections. Though, they also include urinary tract infections from catheters or pneumonia from ventilators. The Centers for Disease Control and Prevention (CDC) estimates that 1.7 million patients contract HAI every year and almost 99,000 of them die. HAIs result in longer hospital stays, increased mortality rates and significant escalations in costs. However, Pennsylvania hospitals are doing a better job in preventing infections stemming from healthcare-related mistakes. The Pennsylvania Health Care Cost Containment Council (PHC4) recently released a report which shows a decline in healthcare-associated infections. The data indicates that, in 2010, there were 1,880,189 patients admitted to Pennsylvania hospitals. 21,319 of these patients contracted at least one HAI. This translates to approximately 1.13 percent of patients and is down from 2009 when 1.20 percent of patients contracted an HAI. Additionally, the mortality rate for patients with an HAI also fell from 9.4 percent in 2009 to 9.1 percent in 2010. Healthcare-associated infections typically also extend the length of the hospital stay. In 2010, the average length of hospital stay was 5 days compared to 21.9 days for patients with an HAI.